Mouth Guards from Orgreave Dental Surgery in Sheffield are perfect if you play a contact sport. You can protect your teeth from most damage with a professionally fitted mouthguard (gumshield). These can be made in your team colours, and we have made numerous stripy gumshields to match team shirts. We use O-Pro as our laboratory of choice, as they provide a 1 year insurance scheme to protect – of course there are terms and conditions to this insurance! 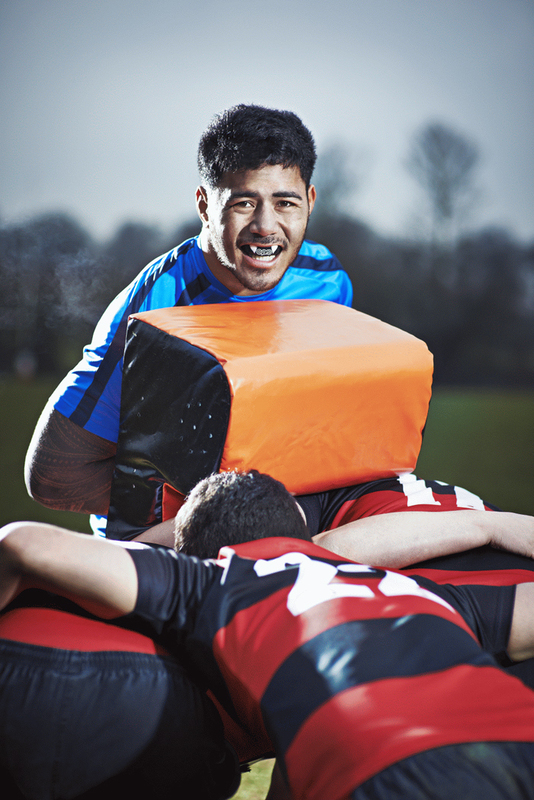 O-Pro provide gumshields to many professional rugby teams (and several players got bans at the Rugby World Cup when the O-Pro logo could be seen!). O-Pro gumshields come in various thicknesses – so tell us what sport you play, and we can advise you what would be most appropriate. We do not recommend clear, green or white gumshields for field sports such as rugby and football. (Just imagine trying to find your gumshield if you drop it on the grass!) and we do not advise clear, blue or white ones for water sports as they don’t show up in pools! Match your gumshield to your team colours! O-Pro do some special designs, such as Union (Jack) Flag or the English Cross (other Home Nations are available!) if you are feeling particularly patriotic, or have even got selected for a national team!